Year of Light 2015 This course is not assigned to a module. Koerstgens, V., Hsu, C. -C., Paneque, D., Wiedersich, J., Mueller-Buschbaum, P.
Experiments with proteins at low temperature: what do we learn on properties in their functional state? Ponkratov, V. V., Wiedersich, J., Friedrich, J., Vanderkooi, J. M.
Novikov, V.N., Adichtchev, S.V., Surovtsev, N.V., Wiedersich, J., Brodin, A., Rossler, E.A. further publications (total of 26). 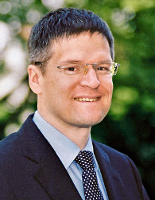 See ORCID profile of Johannes Wiedersich as well.